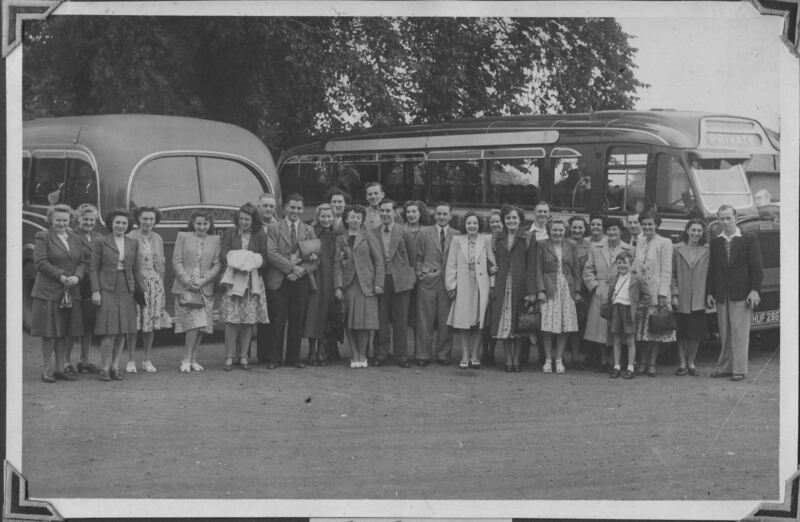 This is a photograph of the London Road Coop staff outing from 1949 which includes my mother, then Edna Parker and her then fiancé Ron Pellett. My mother and father are ninth and tenth from the right respectively. Do you recognise any of your relatives here? If you do I would love to hear from you. My mother, Clarice Payne, worked for the Co-op in London Road but before this time as she was born around 1918. She went on holiday to Switzerland with a group of friends from this Co-op, when Customs at Heathrow Airport was a cluster of tents! I would love to learn about these intrepid ladies and how to find records of the Co-op in 1930s.